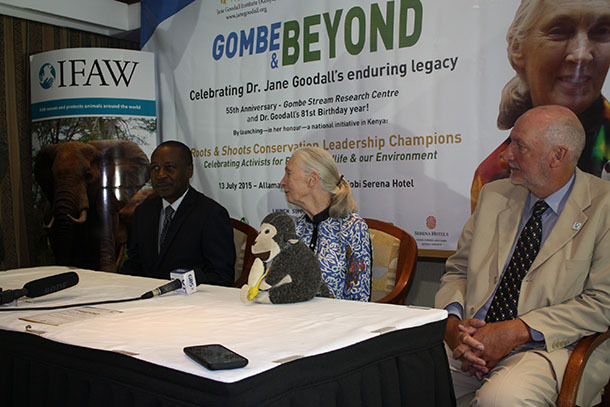 World-renowned ethologist and IFAW Honorary Board member Jane Goodall celebrated her 81st birthday and 55th anniversary of her research at Gombe into the lives of the wild chimpanzees in eastern Tanzania at the Serena Nairobi this week. Ian Robinson, IFAW Vice President, Programs and International Operations noted in a press briefing that IFAW is proud of the partnership it has with the Jane Goodall Institute. He took note of the challenges of poverty as a key driver of wildlife and habitat degradation and loss. 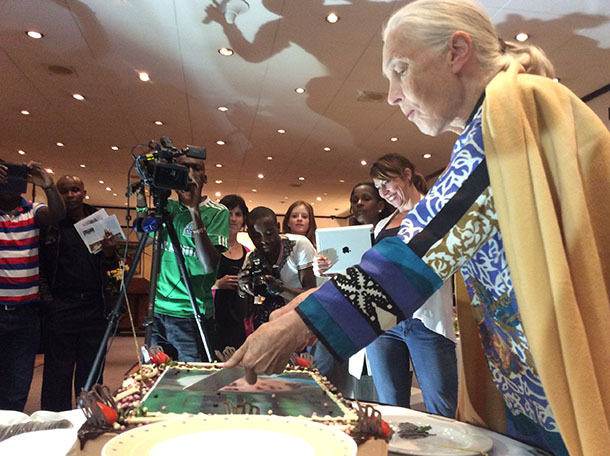 He emphasized the importance of education and was supported by Dr. Goodall on championing environmentally sustainable livelihoods to ensure that there is a balance between protecting animals and their habitats and human settlement. campaigns on demand reduction for wildlife products and,offering alternative means of livelihoods by investing in ecotourism projects which benefit the local communities who share their land with wildlife. James noted that no one specific solution can be used to combat wildlife trafficking and poaching. 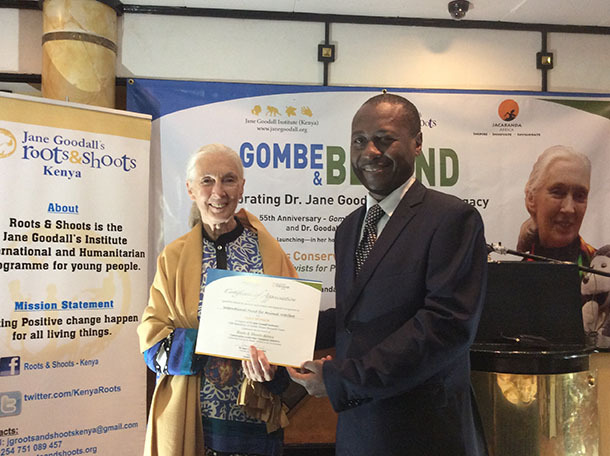 The celebrations also saw the launch of the Roots and Shoots Conservation Leadership Champions Initiative, which exposes youth to mentorship, conservation and social enterprise through club memberships. At the end of the evening, IFAW was among two organizations honored for its role in sponsoring the event.